You are here: Home / Apple / Mackeeper Review (August 2018) – Scam or Legit? Mackeeper Review (August 2018) – Scam or Legit? If you’ve had a Mac for a while, there’s a good chance you’ve come across an ad for a software called Mackeeper. It’s a Cleaning utility originally developed by Zeobit LLC which was acquired by Kromtech Alliance Corp, a German-based IT investment and development company, in 2015. 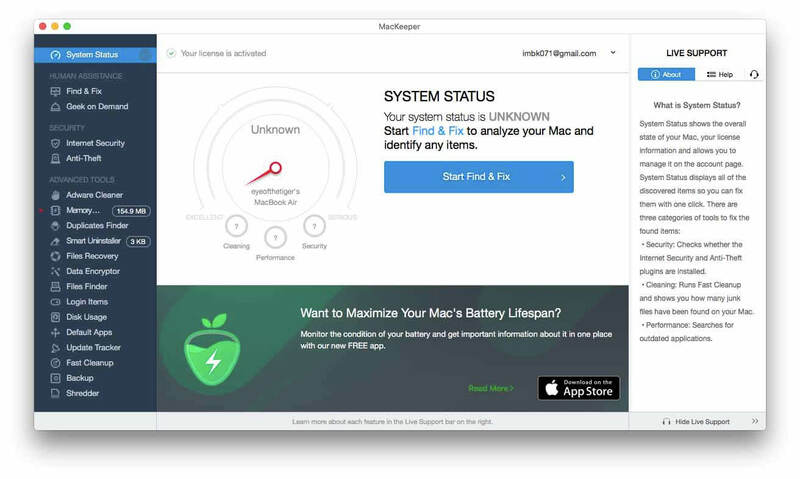 Mackeeper has been under some heavy criticism in the Apple community for advertising heavily. 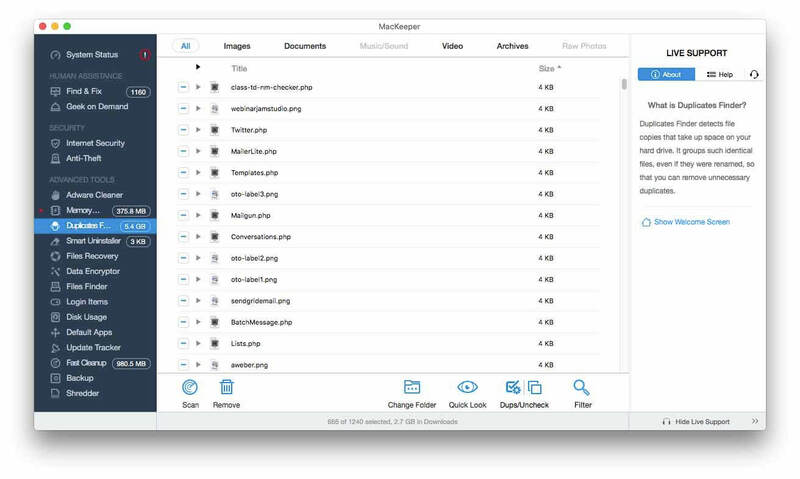 In this post, I’ll review the tool itself and uncover some of the truths about Mackeeper that will help you decide if it’s worth your money or not. Mackeeper parent company, Kromtech Alliance Corp, advertise their products heavily. That advertising includes annoying popups that sometimes start downloading mackeeper automatically to the user’s computer. For this reason, many people label it as a virus that is sneakily trying to install itself on their Macs. The truth is, even if the download automatically starts from a popup, you can still cancel it. If you don’t manage to cancel it, the software won’t install itself on your Mac unless you open the .dmg file and install it yourself. Yes, those are seriously aggressive marketing tactics and I think Kromtech should rethink their marketing strategy but I won’t call mackeeper a virus just because of that. It is not a virus/scam. It’s just that the parent company is notorious for their aggressive advertising campaigns. Why is Mackeeper disliked in the Apple community? We live in the age where we’ll believe just about anything we read on the internet. Most of the people who bash mackeeper haven’t tried it. They just read a negative forum/blog post about it and believe mackeeper to be whatever the post says. This kind of a chain effect continues and coupled with Kromtech’s aggressive advertising, gives mackeeper a bad name in the Apple community. This is why I decided to get a license myself and test it out myself on my Mac. Below is my impartial review of some of the tools Mackeeper has. You can also download it for free if you’d like to check it out yourself. I also worked out a deal with the Kromtech guys. They’ve hooked me up with a 66% percent discount on the 2-year plan. That means you can save $240 if you buy it using the link below. It’s not just for the 2-year plan though, the discount applies to all packages, even the smallest one. Installation is pretty simple. You download the dmg file, open it and follow the on-screen instructions. My Mac has 4 gigs of memory and sometimes (often times) it struggles to give the best performance due to lack of memory. 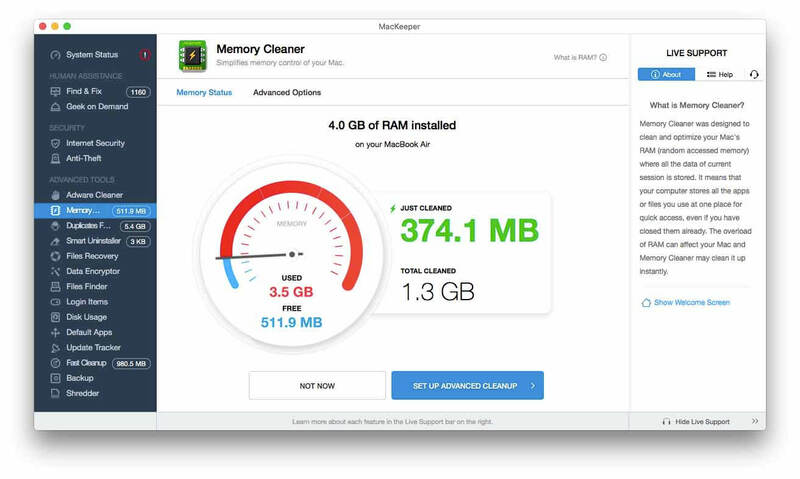 Running Mackeeper every now and then helps me free up some RAM and that comes in real handy. I just ran the memory cleaner and managed to free almost 400MB of RAM. The duplicates finder detects file copies that take up hard disk space on your Mac. It groups such identical files even if they were renamed so that you can decide to delete them or transfer them to an external storage device to free up hard disk space on your mac. This is a nice handy tool to uninstall apps from your mac properly. Just deleting apps from the “Applications” folder is not enough. This is where Mackeeper comes in. It shows you a list of apps you can choose to uninstall from. Then after uninstalling it, it scans your entire hard disk for leftover files associated to that app and removes them. This not only saves storage space but also helps with the performance of your mac. 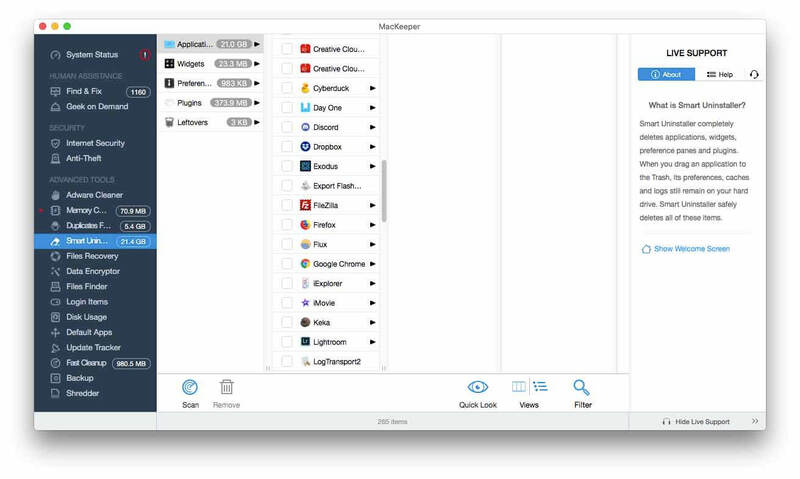 This module simply shows you the list of apps that start with your mac. You can add or remove apps in your login items by clicking the + or – sign. The disk usage module scans your hard disk and lists all files and folders present on it along with the size of the folder right next to its name. The folder size is displayed in 4 colors (red, orange, yellow, green) depending on the size of the folder. The anti-theft module serves two purposes. One, it prevents unauthorized access to your mac. Two, it helps you track your mac in case it gets stolen. You set it up once, and in case your mac gets stolen, you can use the web interface on mackeeper’s website to track your Mac’s location and even take a photo of the intruder/thief using your Mac’s iSight camera.